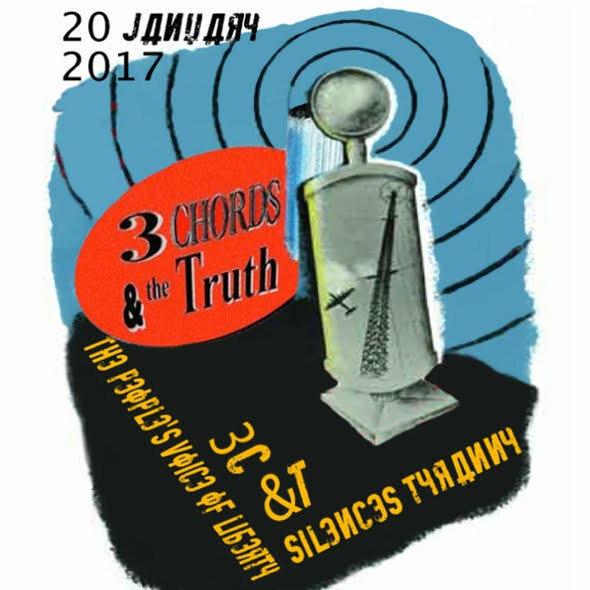 Neither snow nor rain nor heat nor Russian jammers and hackers stays this program from the musical completion of its appointed time slot. And the Big Show has a special inauguration edition for you this week -- a song-filled celebration of the 45th and last president of these formerly United States. It wasn't easy bringing the music to you. Malevolent forces tried to make that not occur. OUR NEW administration will be commemorated during this momentous week. Good and hard. I think you'll enjoy the spectacle. I think others . . . not so much. So sit back and relax with a stiff drink for the next 95 minutes, and let the 3 Chords & the Truth music mix surround you like a wall. A big, beautiful wall. The best wall . . . of sound. Who knows who'll pay for it? Who cares? It won't be you, that's the important thing. SEE MY beautiful sentences here? They're the best sentences, epic sentences. Believe me, they're great. Almost as great as my music this week. So listen up, and listen good . . . to the Big Show. It's not that he's a Cheeto horndog . . .